This recipe looks amazing. I will have to try it. Although the fresh huckleberry season has come to an end frozen Huckleberries can be found year around from Northwest Wild Foods. They have great IQF frozen blue and red huckleberries they ship to your door. Their website is www.nwwildfoods.com. Check them out for wild berries. You have such a nice site! 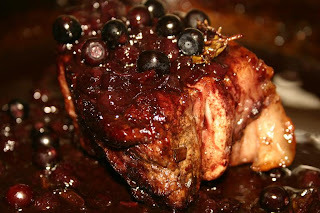 Thank you for commenting on my pork chops on Foodista! Have a great weekend! Happy Blogging! 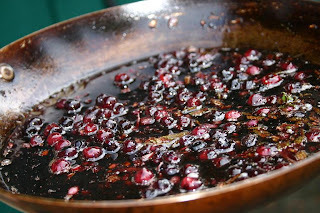 This is a fantastic post, Melissa - wish I had seen it during huckleberry season! Next year, it's on my list with our beautiful bellies in the freezer! 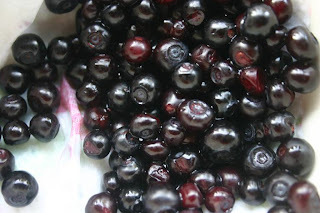 Those wild huckleberries from Found and Foraged edibles were to die for!